In my previous blog, I mentioned about going to MacLaren but the store was closed when I arrived. On Day 12 which was a Saturday, I came back to crack the four eggs inside the store. You saw the message of Egg 133 in my previous blog. 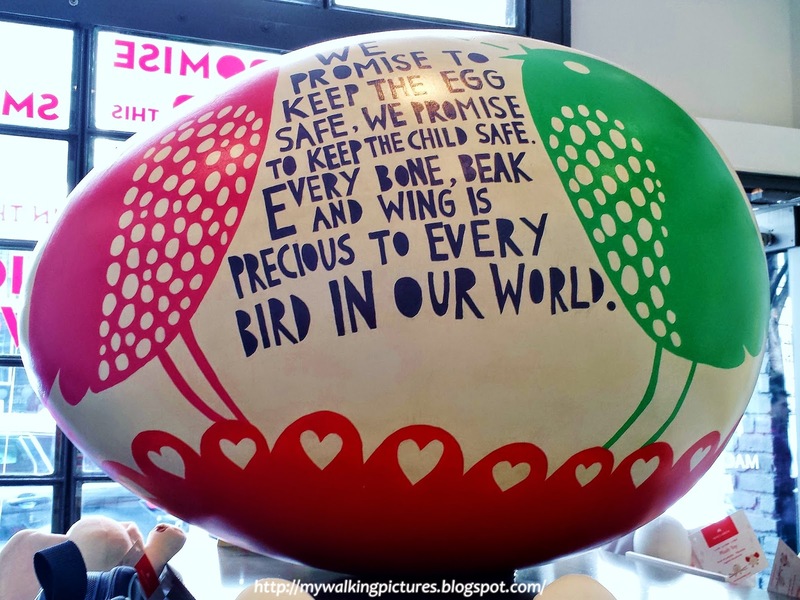 Inside the store, the other side of that egg has another beautiful message. I then hopped on the Staten Island Ferry to crack the eggs at the St George Ferry Terminal in Staten Island. The ferry has an awesome front seat view of Lady Liberty. There were three eggs located just outside the terminal, near the waiting area for taxis. The view behind Egg 48 by Rob Plater was very familiar. After cracking the eggs, I took the next ferry back to Manhattan and noticed a small lighthouse in the New York Harbor. I googled it and learned about Kate Walker and the Robbins Reef Lighthouse. As the ferry prepared to dock in Manhattan, the passengers got an awesome view of the lower Manhattan skyline. It was a sunny and cloudless day, the blue sky was a lovely backdrop to the buildings. 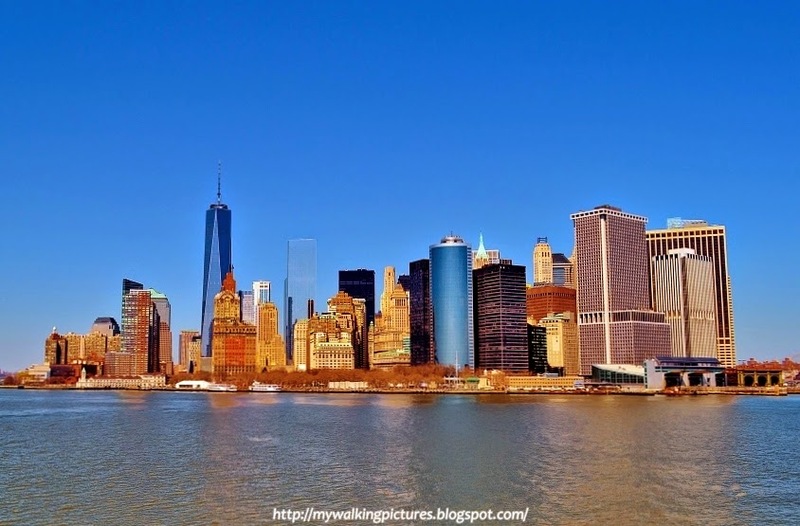 After the ferry ride, I made my way to the South Street Seaport as it was just a short walk going there. There were a couple of eggs at the seaport which I wasn't able to crack the previous time, as they were inside a building. I finally saw Egg 61 by Trystan Bates and had fun trying out the different patterns. It was a kaleidoscope! I had a family affair to go to that afternoon and ended my egg hunt for the day at Brooklyn Bridge Park, which had five eggs on display. 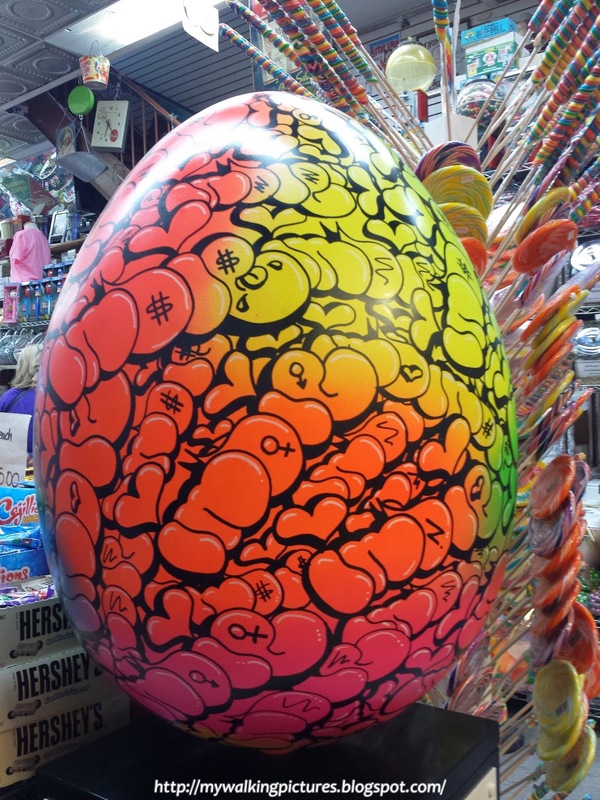 Here's Egg 137 by Chrissy Angliker with the Manhattan Bridge at the back. 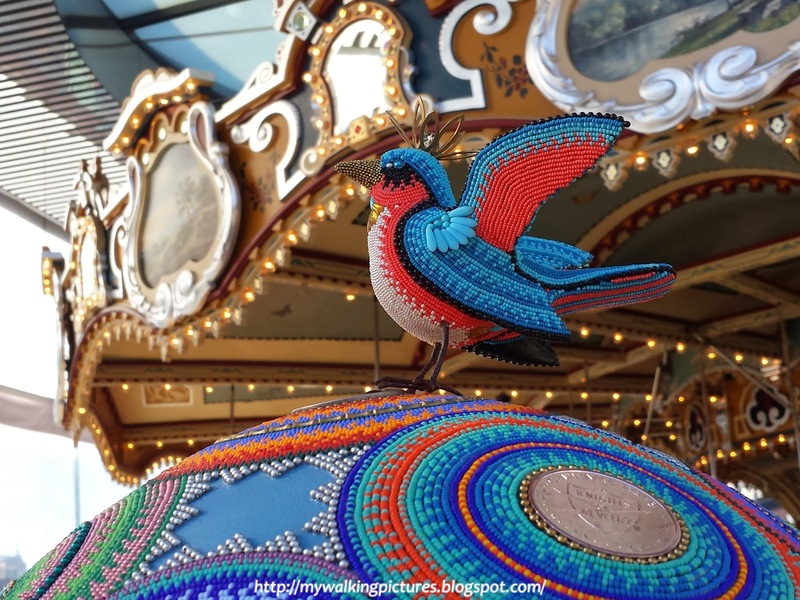 And I was in awe of the beautiful bead work by bead artist Jan Huling on Egg 165, which was displayed right by Jane's Carousel. I started my Sunday going around the lower east side to crack some eggs there. Egg 41 by Irene Mamiye was near the Manhattan side entrance to the Williamsburg Bridge. 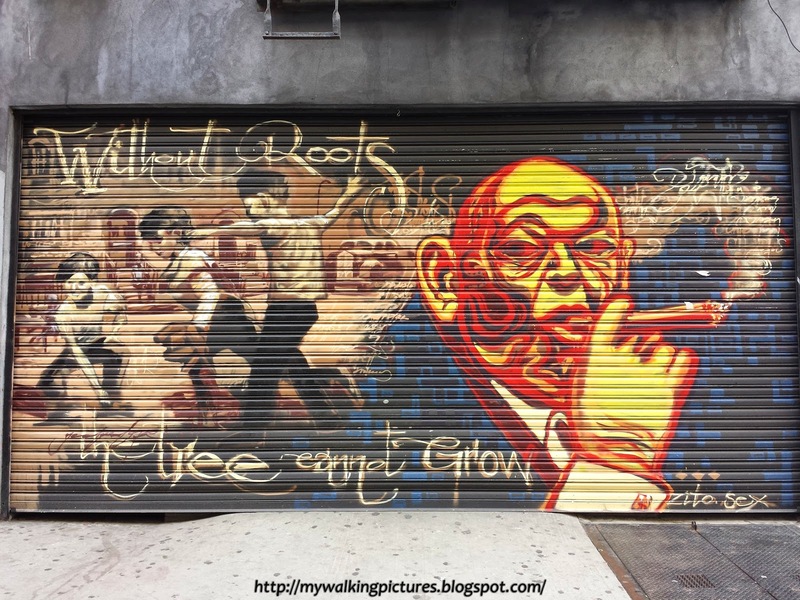 Walking along Orchard Street, I passed by this mural by Zito and El Niño de las Pinturas. Along Rivington Street inside Economy Candy was Egg 71 by graffiti artist Indie 184. The egg looked like it belonged inside the candy store. Right across the store is Rivington Hotel which housed two eggs. 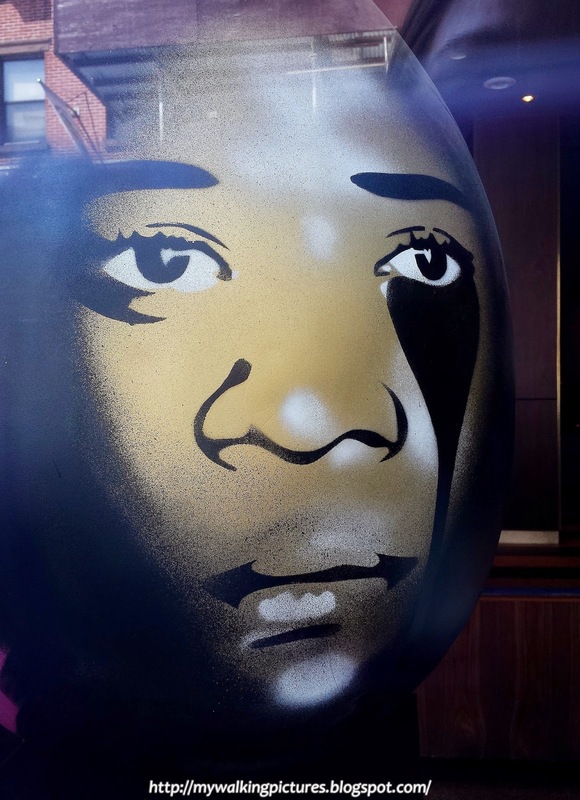 Looking out from the hotel's glass wall was Egg 171 by British artist Pure Evil. 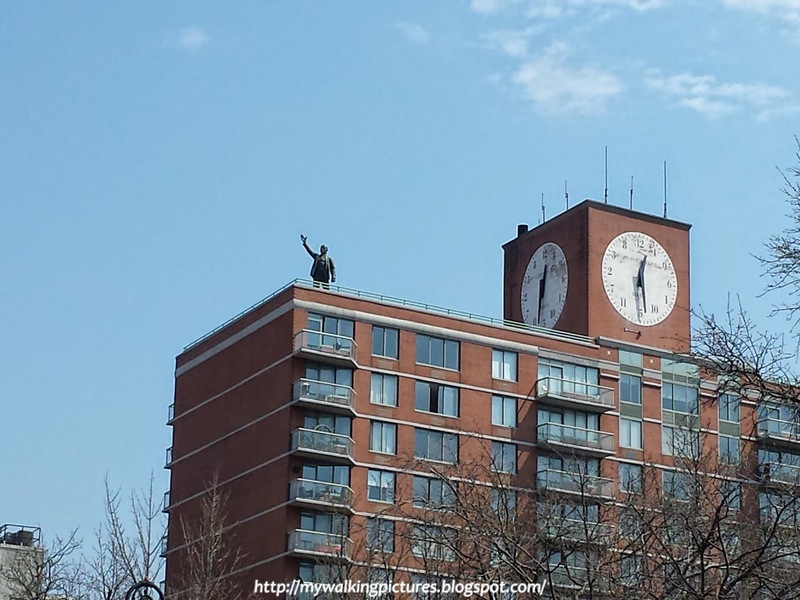 Walking around the lower east side, you can't escape seeing Lenin's statue on the roof of the Red Square, but don't rely on the clock to give you the correct time. I then proceeded to Central Park for my usual weekend walk. 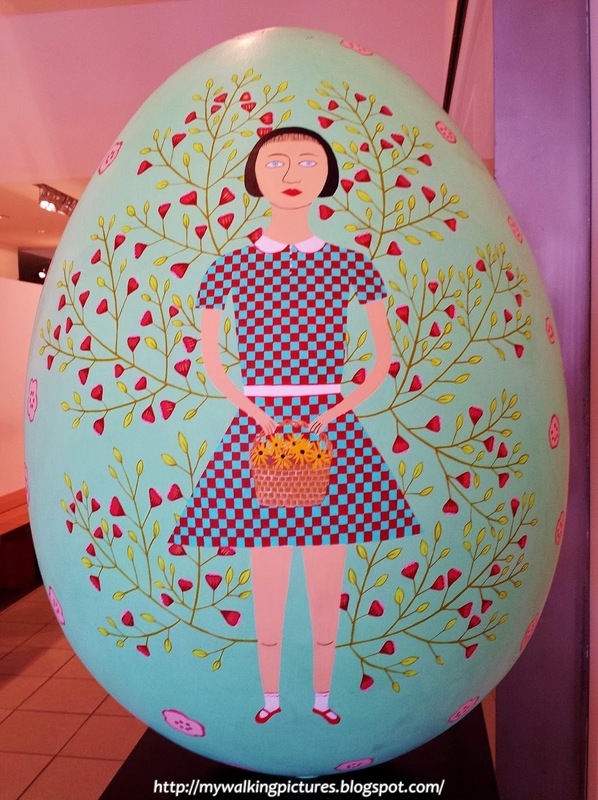 Along the way, I dropped by the American Folk Art Museum to crack Egg 67 by Lucy Fradkin. It was another sunny day and a lot of people were enjoying it at the park. It was a great day to just sit on the grass and watch the row boats pass by. Near the Great Lawn, the East Drive was a riot of pink and white. 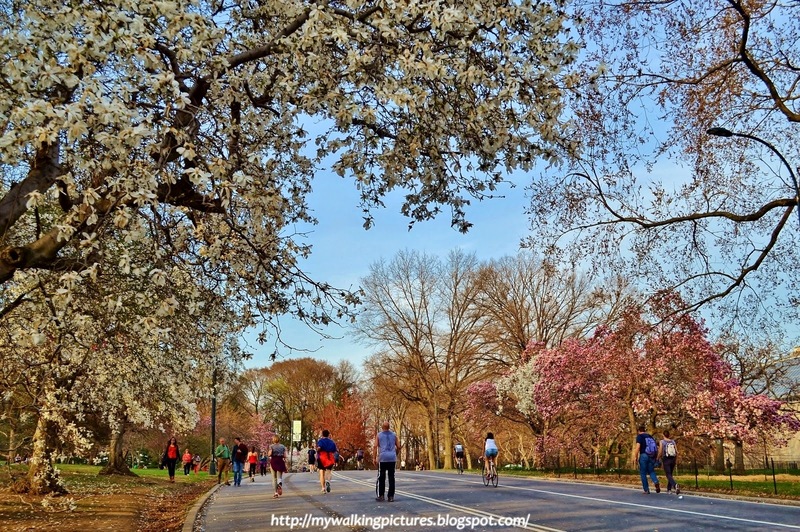 Spring has sprung in Central Park! Day 14 was another weekday and I started my egg hunt after office hours. 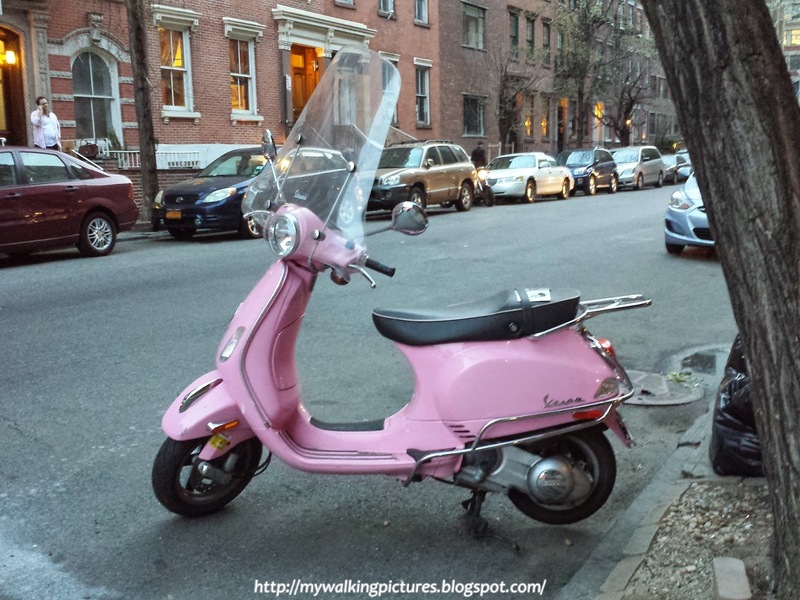 I was walking around the West Village and saw this cute motorbike. I want one, too! Along Bleecker Street peeking from a store's show window, I can clearly see Emma Clegg's beautiful workmanship on Egg 4. 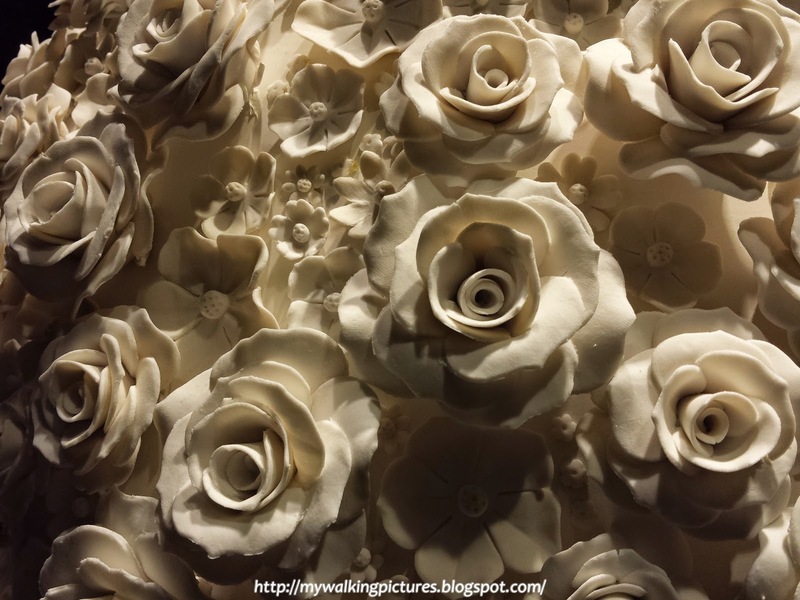 It's made of ceramic roses! 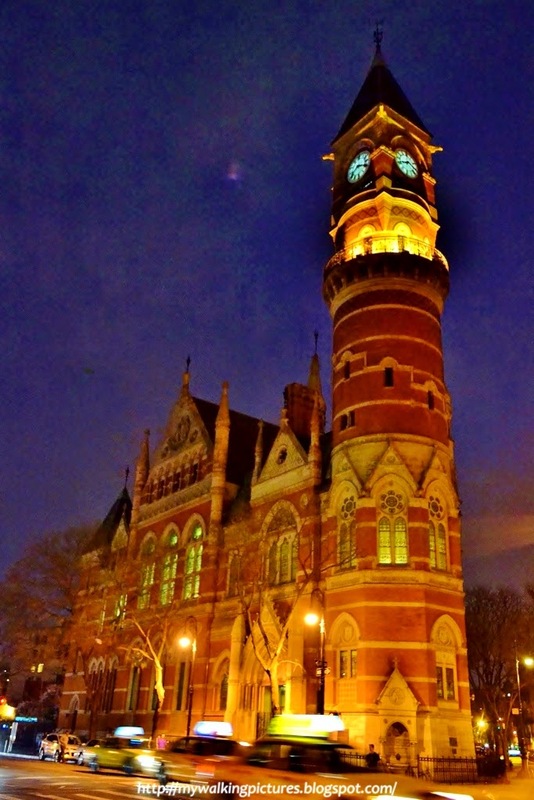 In the corner of West 10th Street and 6th Avenue is the Jefferson Market Library. It looks as pretty at night as in daytime, when I wrote about it in a previous blog. I passed the library on my way to the Chelsea Market which housed two eggs, one of which was a delightful cupcake egg, Egg 115 by Abby Modell. Day 15 of the egg hunt found me back in lower Manhattan, trying to crack some eggs which I didn't see before. 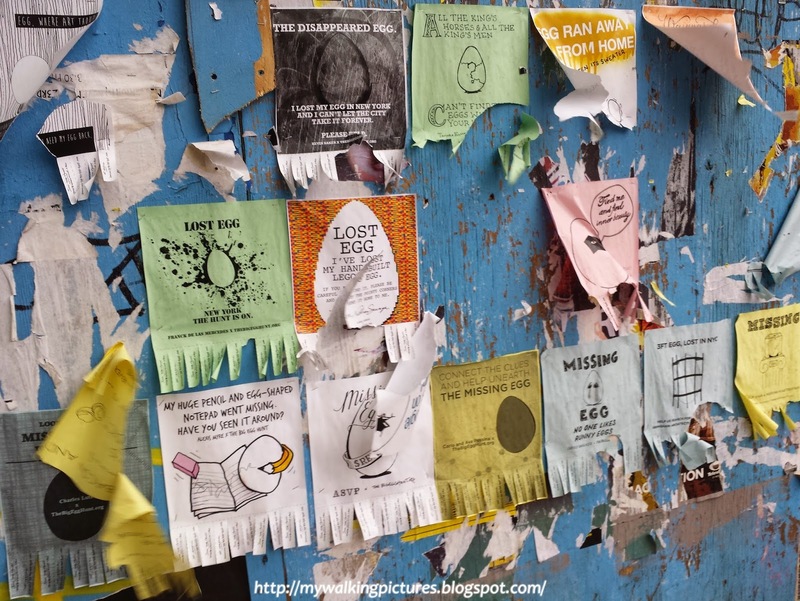 I was looking for Egg 263 by The Franklyn Project for Bleecker Street Arts Club when I passed this wall and noticed all these hanging papers advertising the locations of eggs. So that's why all the other egg hunters found the eggs so easily, help was available! And I found the Franklyn Project egg, it was at the back of this temporary wall. 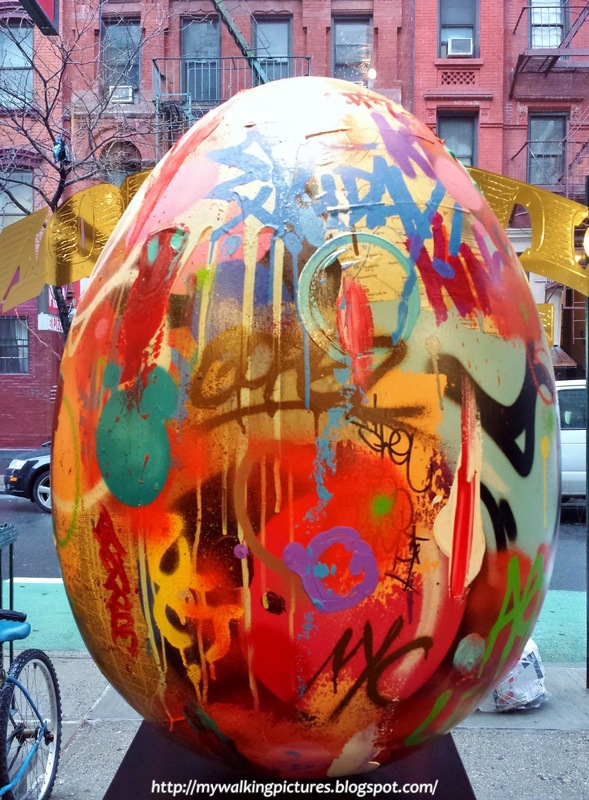 Another egg in the area, inside a tattoo parlor, was Egg 89 by graffiti artist Cope2. 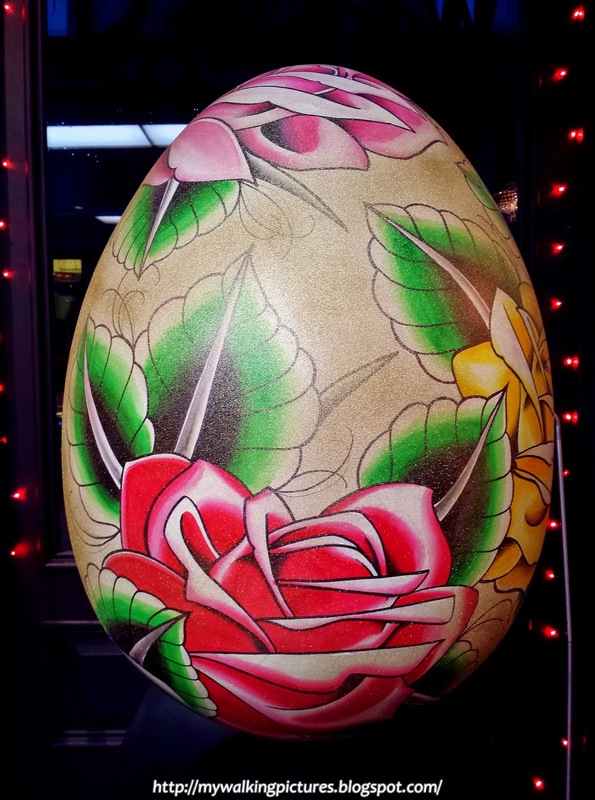 Inside another tattoo parlor, at the Wooster Street Social Club, was this beautifully painted Egg 211 by tattoo artist Luke Wessman. 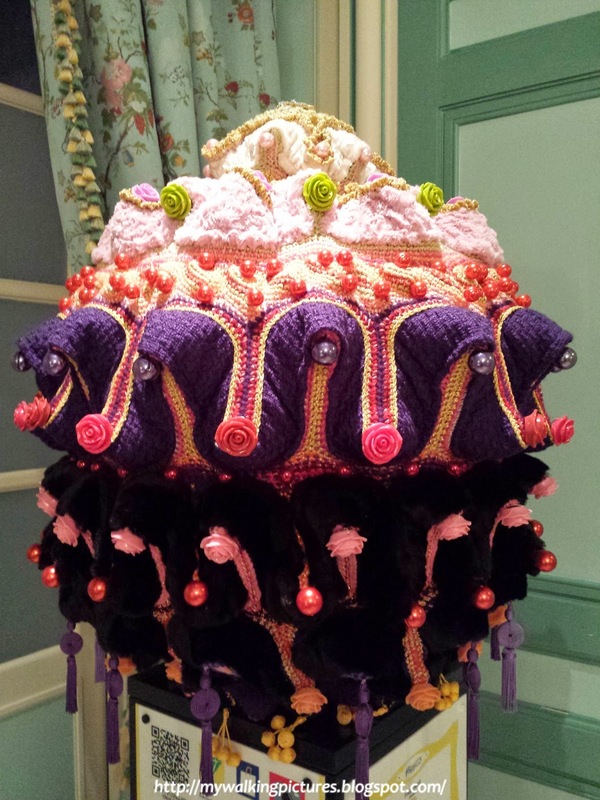 In Soho is another branch of Laduree and inside were two eggs, one of which was Egg 213 by Portuguese artist Joana Vasconcelos. If not for the Big Egg Hunt data attached to its stand, I never would have guessed this as one of the eggs. My last stop that night were the two eggs inside the Paramount Hotel in Times Square. Egg 283 aptly named Tick-Tock by Martha West with Kathryn Neugold was another one of those eggs which didn't look like an egg. 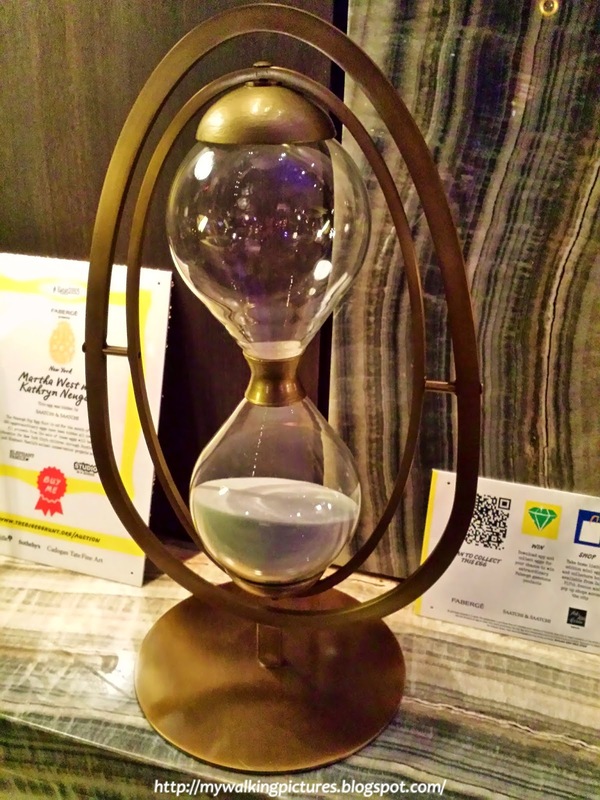 It was an hourglass! April 17 was the last day of the egg hunt but I made my last day of hunting eggs on Day 16. I figured Day 17 would be the day when the eggs will be prepared for their eventual transfer to and display at the Rockefeller Center. So on my last day of egg hunting, I went to the Metropolitan Museum of Art. 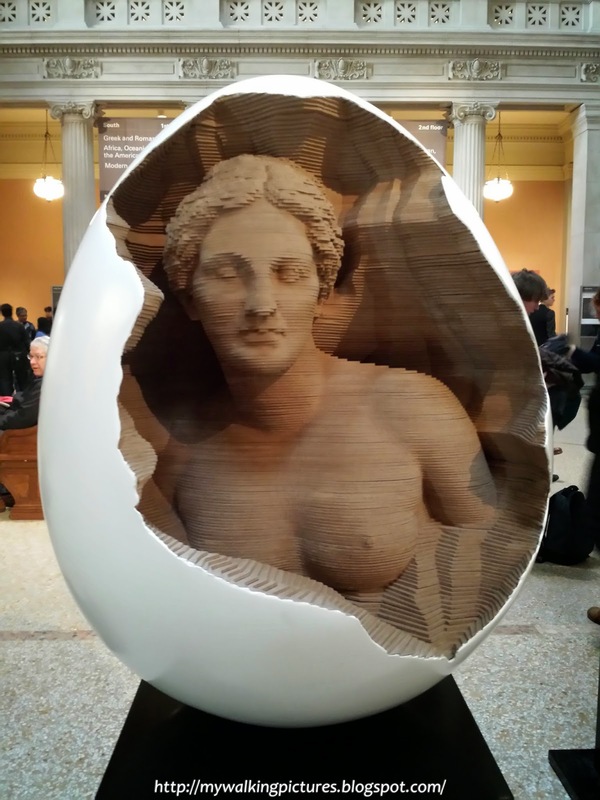 The MET had three eggs displayed at its Great Hall. I love the details on Egg 19 by Chris Carnabuci titled Fertility. 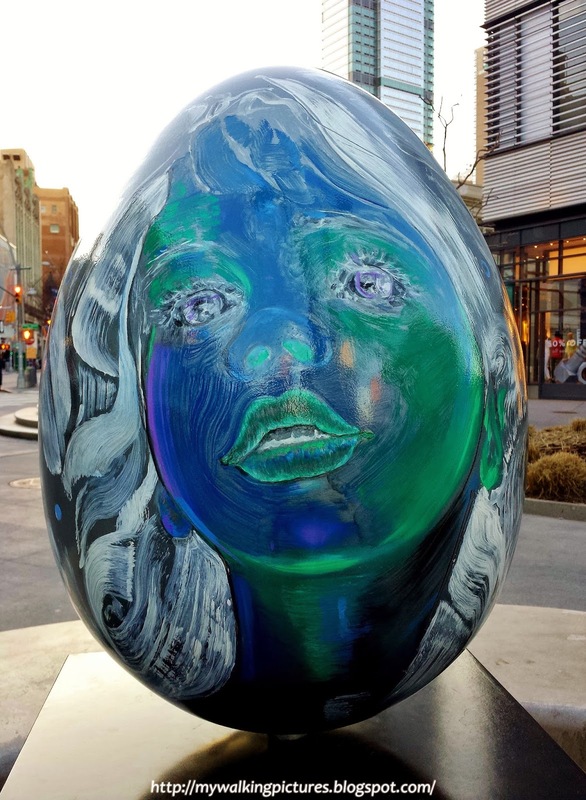 Afterwards, I went to Brooklyn to crack the three eggs in Albee Square, one of which was Egg 215 by New York based artist Ena Swansea. I then walk several blocks away to crack Egg 11, the last egg in my basket. 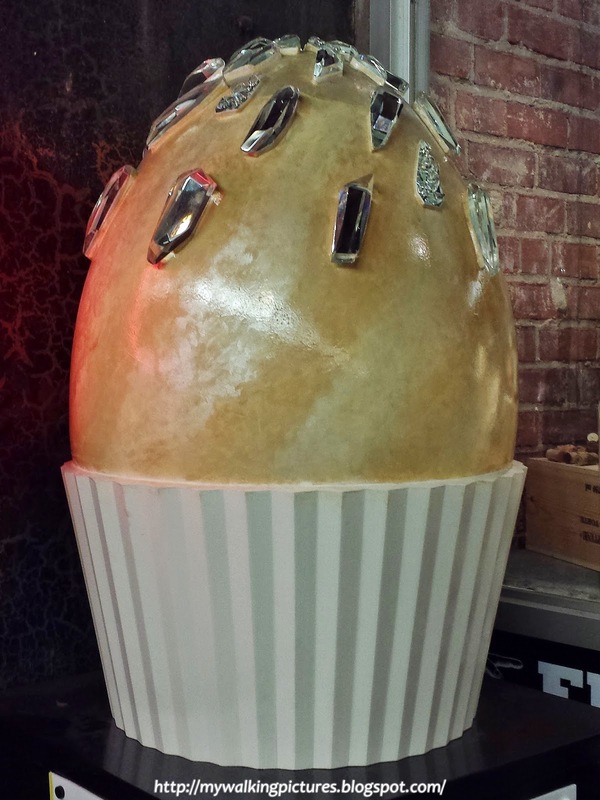 It was a chocolate egg masterpiece molded by artist Carter Jones using Jacques Torres famous milk chocolate. 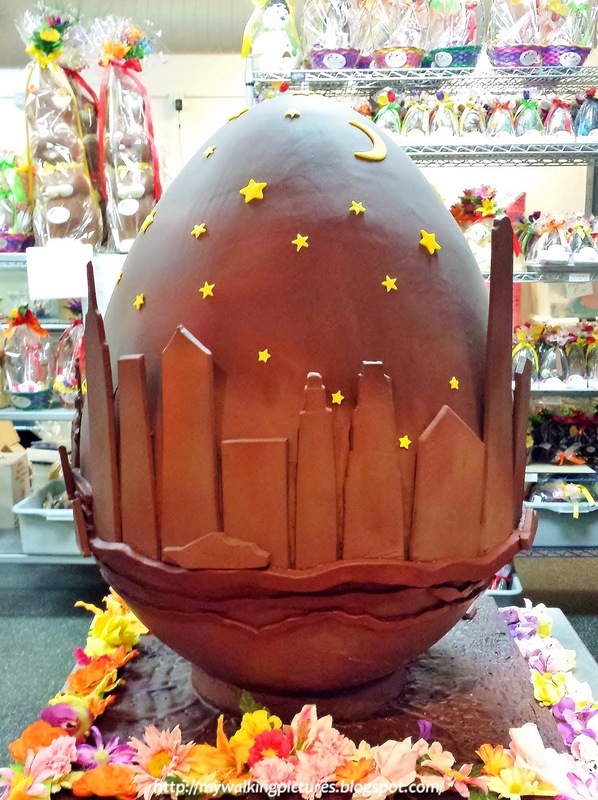 The finished product was a smooth, milk chocolate-hued egg, decorated with the iconic New York skyline and yellow stars. That was a fun-filled two-week adventure around New York City, and I got to explore the city in a different way. 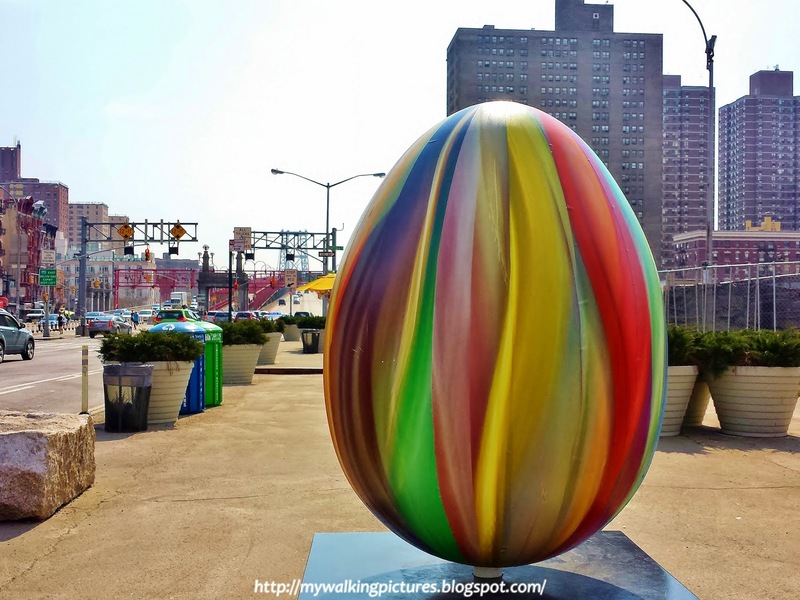 Thank you to the organizers of the Big Egg Hunt for bringing it to New York. I hope they will come back next year and raise more funds for the charities. You can check out 200 of the eggs that I cracked in my Flickr album The Big Egg Hunt NY or if you want to see the 232 eggs in my basket, they're all in Google+. Wishing everyone an egg-citing day! And of course, your pictures are awesome, as always! Thank you Valerie! That was an exciting time going around Manhattan and scrambling to crack those eggs. I hope the egg hunt will come back to NYC next Easter. Take care!